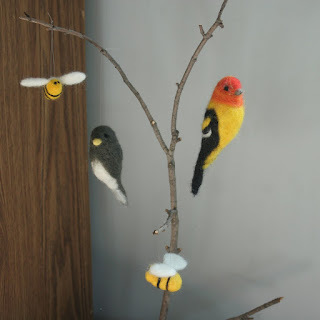 Here's what I've felted over the past couple of days. I've done them mostly with my right hand, and my left arm is very happy with me for that. The felting with my right hand is getting quicker and a little more exact, and I'm very happy with that.